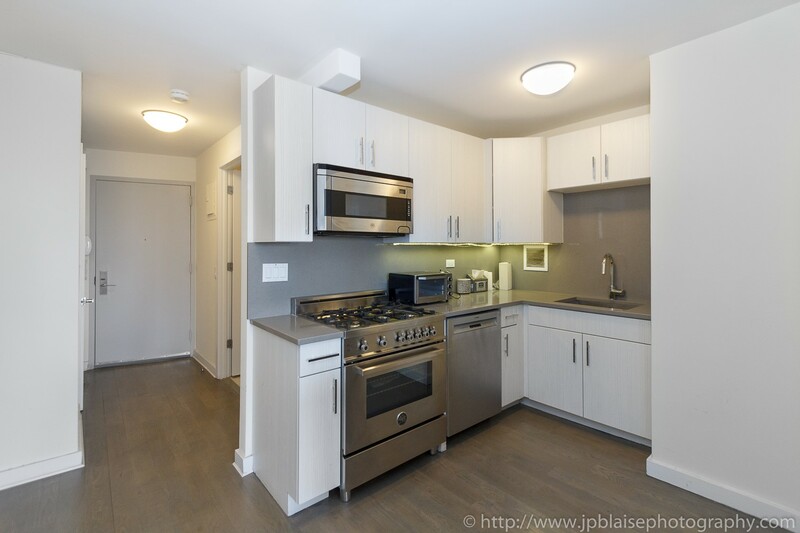 New York City Apartment photographer adventures: back to Midtown East! Today I went back to the building where I took these shots: Recent interior photographer work: Midtown East unit with views of the East River on a gloomy day. Luckily, the weather is nicer today (but still a little cloudy) and the views of the East river and the Manhattan skyline are really breathtaking. I wish I could wake up in that bed every morning and get to enjoy this fantastic panorama while eating my cereal! The large studio features a fully equipped kitchen with dishwasher, beautiful hardwood floors, luxury furniture, and, of course, this AMAZING VIEW.